Note: This tutorial only works for applications used in China. The same steps can be used for activating applications and binding aircraft in an existing application. DJI aircraft firmware requires mobile applications that control DJI aircraft to be activated with the user's DJI account, if that application is being used in China. This will ensure operators use the correct set of geospatial information and flight functions for their aircrafts, as determined by their geographical location and user profile. Users in China are required to activate their application by logging into their DJI account at least once every three months within the application. Activation will be persistent in the application until the user logs out. An internet connection will be required to log into a DJI account. Outside of China, the SDK will automatically activate the application without requiring the user to log in. Additionally, users in China are required to bind their aircraft to their user account in DJI Go / DJI Go 4. This is required only once. If an application is not activated, the aircraft is not bound (if required), or a legacy version of the SDK (< 4.1) is being used, all camera live streams will be disabled, and flight will be limited to a zone of 100m diameter and 30m height to ensure the aircraft stays within line of sight. To create a new project in Xcode, choose the Single View Application template for your project and press "Next", then enter "ActivationDemo" in the Product Name field and keep the other default settings. For more detailed configurations of the storyboard, please check the tutorial's Github sample project. 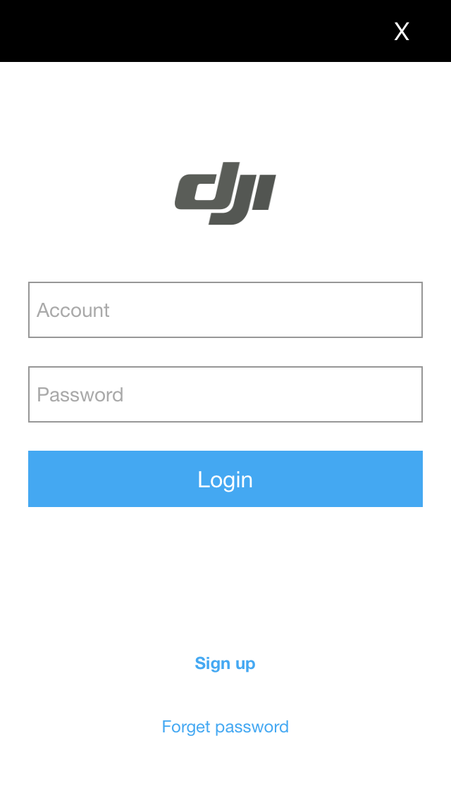 This demo is built based on the ImportSDKDemo Github Sample, you can check the Integrate SDK into Application tutorial to learn how to register the application using DJI Mobile SDK. 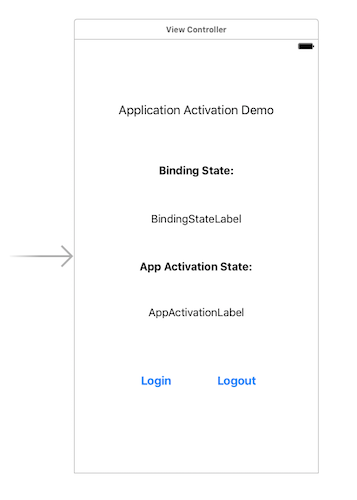 In order to fetch the updated application activation state and aircraft binding state, we can implement the DJIAppActivationManagerDelegate methods. In the code above, if register app success, we invoke the startConnectionToProduct method of DJISDKManager to start a connection between the SDK and the DJI product. Next, set the delegate of DJIAppActivationManager as ViewController and then initialize the activationState and aircraftBindingState properties with the value of appActivationState and aircraftBindingState properties of DJIAppActivationManager. 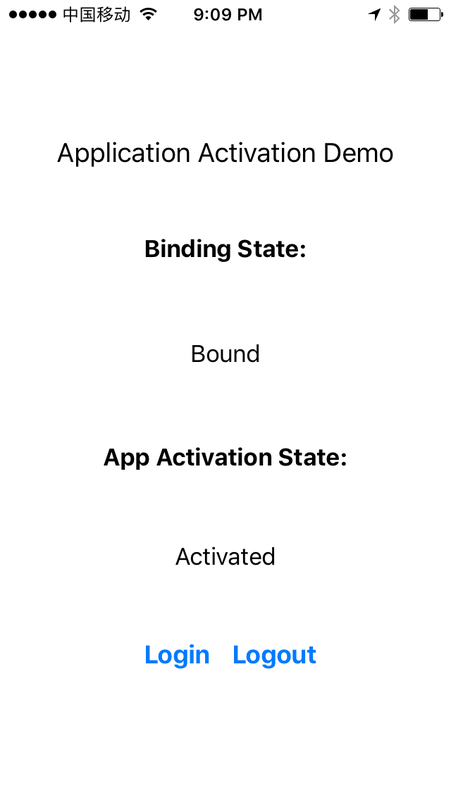 The manager:didUpdateAppActivationState: delegate method will be called when the app activation state changes. In this method, we update the value of the activationState property and invoke the updateUI method to update the text values of the UILabels. The manager:didUpdateAircraftBindingState: delegate method will be called when the App Activation manager updates the aircraft binding state. In this method, we update the value of aircraftBindingState property and invoke the updateUI method to update the text values of the UILabels. 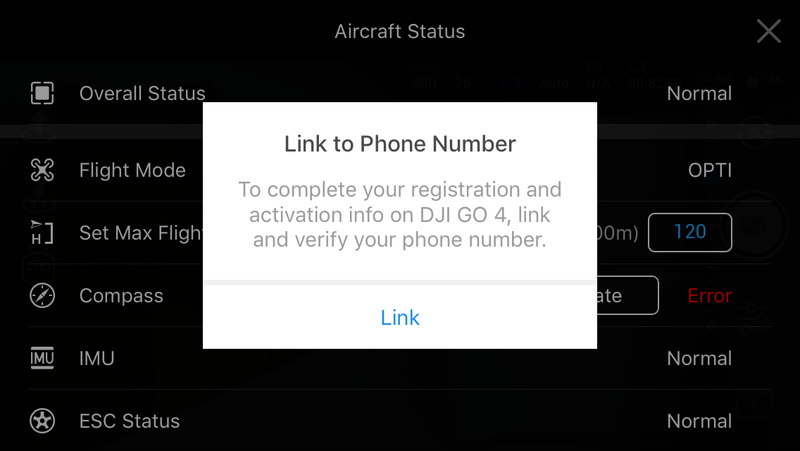 In the onLoginClick: IBAction method, we invoke the logIntoDJIUserAccountWithAuthorizationRequired method of DJIUserAccountManager to login to the DJI User Account and show alert views to inform users. Similarly, in the onLogoutClick: IBAction method, we invoke the logOutOfDJIUserAccountWithCompletion: method of DJIUserAccountManager to logout DJI User Account and show alert views to inform users. For more details, please check the tutorial's Github Sample Project. Now, to build and run the project, connect the demo application to your aircraft (Please check the Run Application for more details) and check the features we have implemented so far. Congratulations! Now, your mobile application and aircraft can be used in China without any issue. In other words, your application can now see the aircraft's camera live streams and the flight will not be limited to a zone of 100m diameter and 30m height. 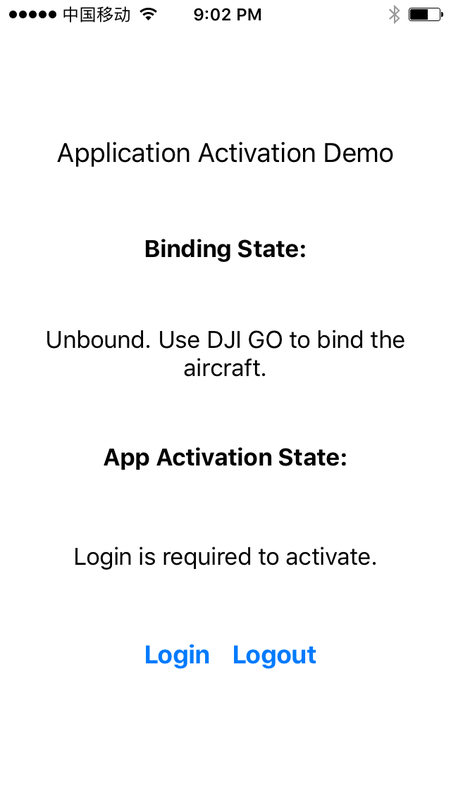 In this tutorial, you have learned how to use DJI Mobile SDK to activate the SDK mobile application and use DJI Go app to bind the aircraft to your DJI Acccount. The same steps can be used for activating a application and binding a aircraft in your application. We hope you enjoyed this tutorial, and look forward to seeing you again!